In this document you'll review the micrometer adjustments. In this animated object, learners study the effects of making sensitivity adjustments to a capacitive sensor. Learners examine the circuitry in a DC variable speed drive that prevents the motor from running at 0 rpm or at maximum speed under certain conditions. In this animated activity, learners examine the circuitry in a DC variable speed drive that causes the motor to accelerate or decelerate at slow rates. This learning object has audio content. Learners examine the function of each part of a microscope and follow step-by-step instructions on how to focus on a specimen. 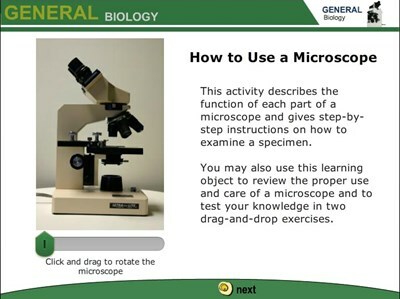 They also review the proper use and care of a microscope and test their knowledge in two drag-and-drop exercises. Learners view an animated explanation of why an adjustment of the output voltage by an AC drive is required to maintain a constant torque as the frequency is varied. In this animated activity, learners examine the operation of an ultrasonic sensor and the procedure to perform zero and span adjustments. A brief quiz completes the object. In this animated activity, a drill-and-clamp machine is used to show an application of a pressure-reducing valve. Recommendations on how to properly make pressure adjustments are also provided.